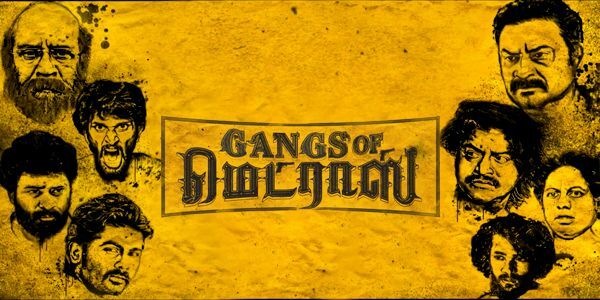 Producer CV Kumar, who had turned a director with Maayavan (2017), is back after a brief hiatus, with his second directorial venture Gangs of Madras. After the initial intriguing posters that generated enough curiosity, the teaser of the movie has been released today, and promises to be a gritty thriller. The teaser begins with the quote "The axe forgets, but the tree remembers" indicating that this might be a tale of revenge and retribution, and is followed by the female lead's voice-over, giving a glimpse of the theme the movie revolves around. The teaser presents the central characters - a couple played by Ashok and Priyanka Ruth, and different gangs and their chiefs, namely Velu Prabhakaran and Daniel Balaji, a politician played by PL Thenappan, and Naren. With various anti social acts including murders and drug trafficking presented, the teaser culminates with a stunning shot of Priyanka Ruth's gunshot. Karthik K Thillai handles the cinematography, while the music for the songs is composed by Hari Dafusia and the original soundtrack is scored by Shyamalangan. Producer by CV Kumar's Thirukumaran Entertainment, the raw and rustic tale of love,betrayal,violence and revenge, Gangs of Madras is expected to hit screens this summer and let's see if CV Kumar can pull off a stunning surprise with this one.